50 centavos January Issue and 1 Peso Second Issue on cover from La Cruz to Popayan, December 12, 1903. Pair of $1 Peso and a single 50 centavos paid to send $47 and 20 gm single letter rate. As of January 1, 1903, the declared value rate was 50 centavos per $10 Pesos gold to a maximum of $100 Pesos. 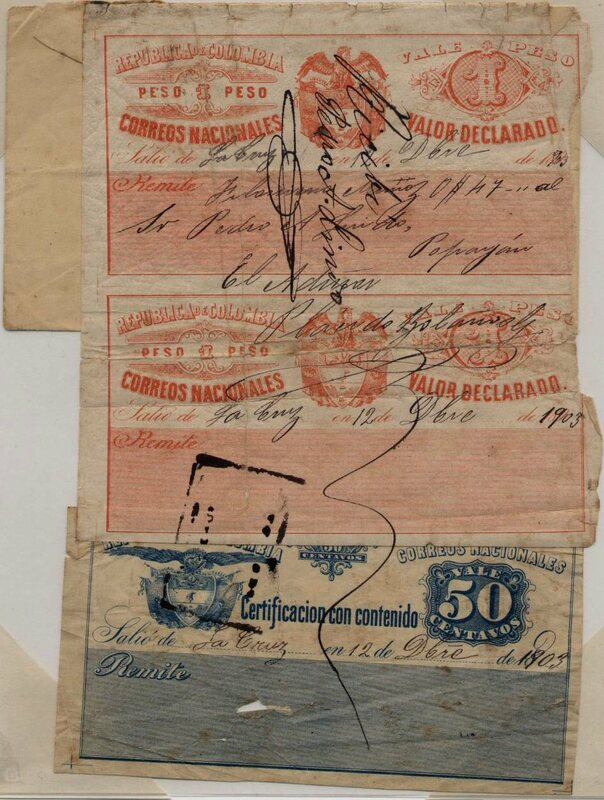 Cubiertas were not demonetized as were stamps, as their sale and use was controlled.